One of the benefits of visiting a psychiatrist who also specializes in holistic, complementary or alternative medicine is that he or she can determine whether or not a nutritional deficiency is the cause of some mental symptoms. Nutrients play a critical role in mental health. They are the building blocks of the nervous system. In fact, the brain has first called on the available supply of nutrients. Therefore, the first effects of nutritional deficiencies are often mental symptoms. Deficiencies in almost any of the vitamins and minerals can show up first as emotional or mental symptoms, such as depression, anxiety, or impaired memory and concentration. For example, folate deficiency is a common occurrence in psychiatric disorders, whether organic or functional, particularly in depressive illness. Calcium: Depression, delusions, and irritability. There are three amino acids that are most directly related to mood and depression: phenylalanine, tyrosine, and tryptophan. Phenylalanine and tyrosine produce the neurotransmitter norepinephrine, and tryptophan is eventually converted to serotonin. Kaplan, Bonnie. 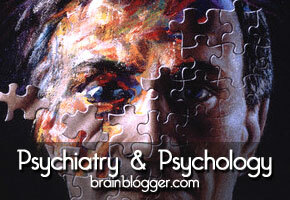 “The Relationship Between Nutrition and Mental Disorders“.